As this may be useful for some people I decided to write a short article about how one can do distributed parameter tests either on a cloud or on a cluster. As a test case, we will solve the poisson equation for some 1000 different conductivities - automatically distributed onto all available computing nodes. Apart from NGSolve we will use dispy to manage the network communication. NGSpy allows to create rotationally symmetric geometries (e.g. 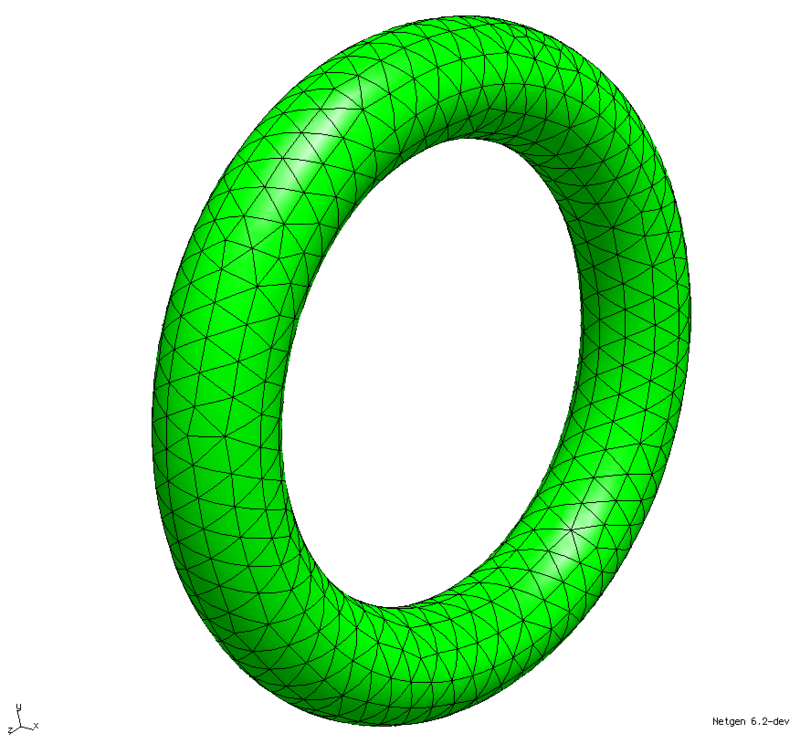 a torus) using the CSG format. This is done by defining a two dimensional spline which is then rotated around an arbitrary axis. Netgen 6.2 adds the possibility of defining Integrals on codimension 2 objects (on the boundaries of boundaries - BBND). This enables i.e. the definition of currents on a segment in a 3D geometry, to compute the magnetic field of a thin wire. Sometimes it is convenient to export results that were obtained with NGSolve to third party visualization tools (for rendering/videos etc.). A simple way to do this is the export to the VTK format (ascii) that is provided from NGS-py.